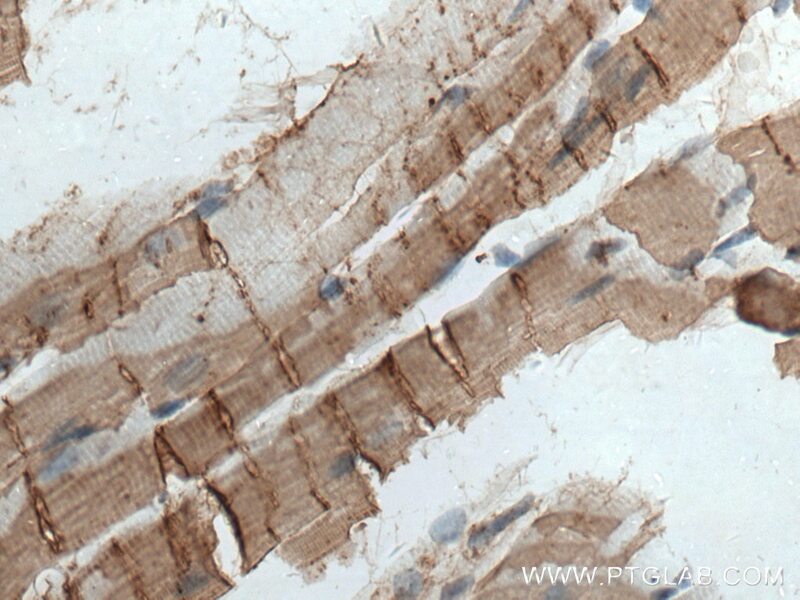 Immunohistochemical analysis of paraffin-embedded human heart tissue slide using 66376-1-Ig (Cardiac Troponin I antibody) at dilution of 1:600 (under 10x lens). 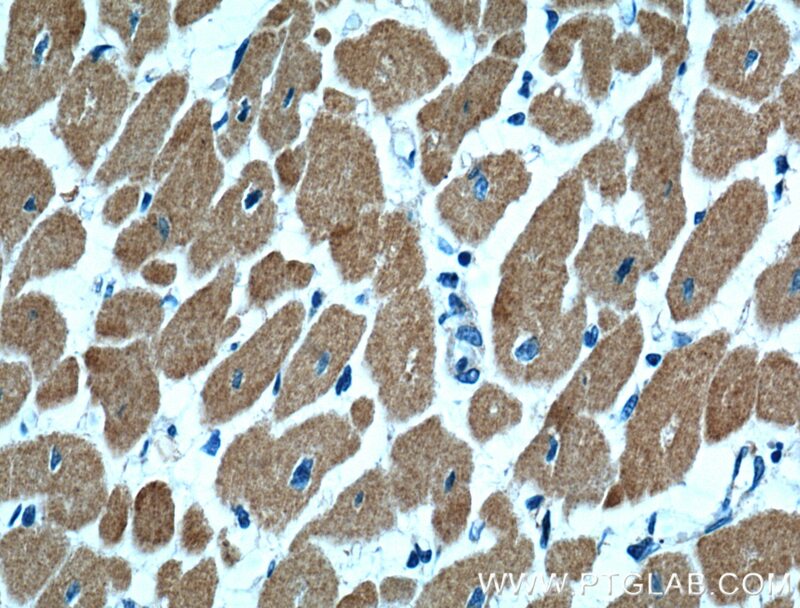 Immunohistochemical analysis of paraffin-embedded human heart tissue slide using 66376-1-Ig (Cardiac Troponin I antibody) at dilution of 1:600 (under 40x lens). 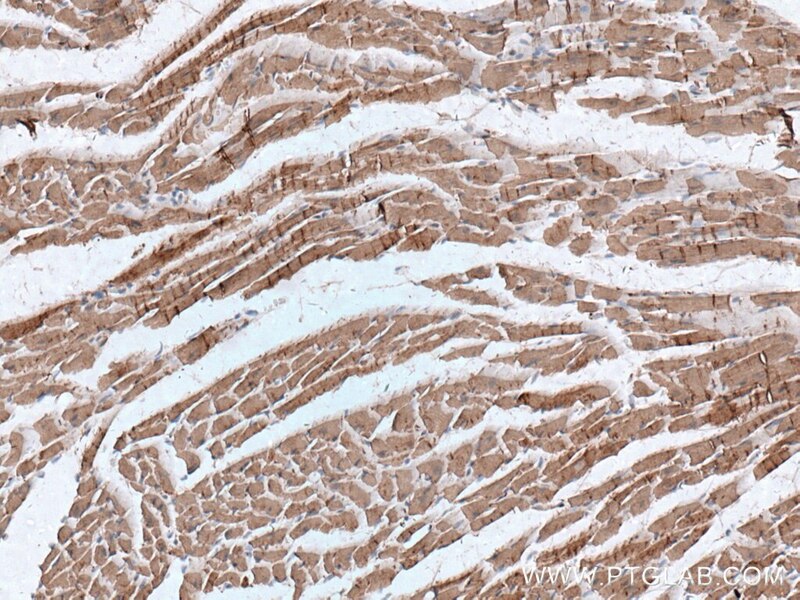 Immunohistochemical analysis of paraffin-embedded mouse heart tissue slide using 66376-1-Ig (Cardiac Troponin I antibody) at dilution of 1:2000 (under 40x lens) heat mediated antigen retrieved with Tris-EDTA buffer(pH9). Troponin I (TnI) is the inhibitory subunit of troponin, the structural protein involved in the regulation of striated muscle contraction. 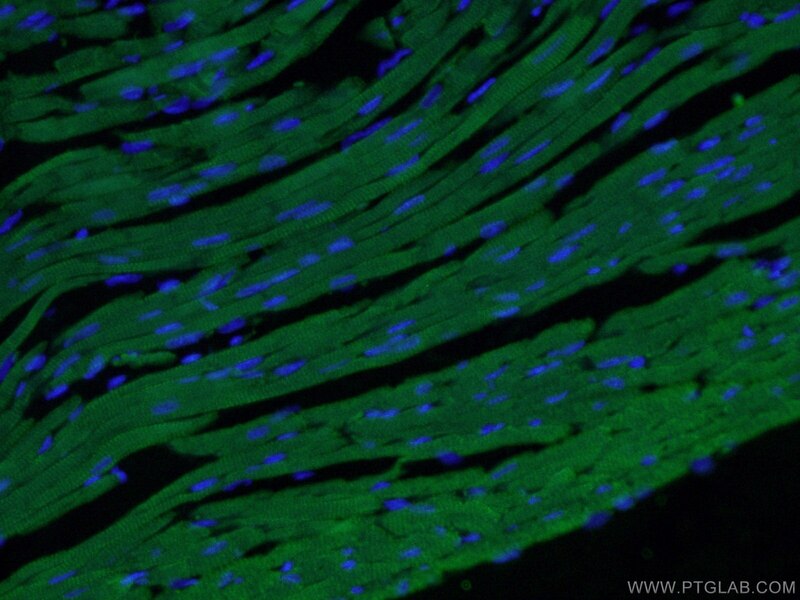 Cardiac Troponin I (cTnI) is produced by cardiac muscle. 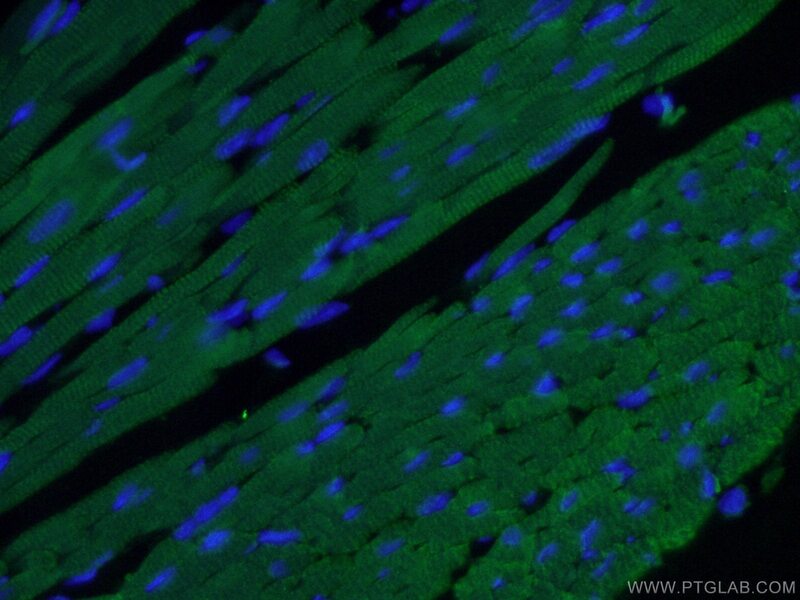 Two other TnI isoforms (slow sTnI and fast sTnI) are produced by slow-twitch and fast-twitch skeletal muscles, respectively. cTnI has been considered as one of the most specific and sensitive markers of myocardial damage like acute myocardial infarction (AMI) for decades. Detection of cTnI in serum is widely accepted as a diagnostic tool in acute coronary syndromes. 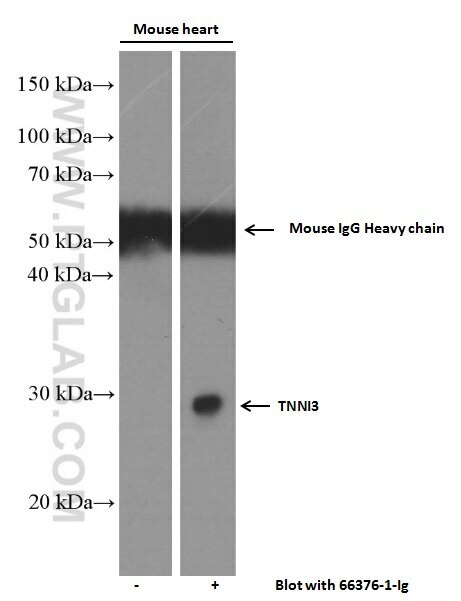 This antibody is specific to cTnI, but not cross-react with skeletal TnI. 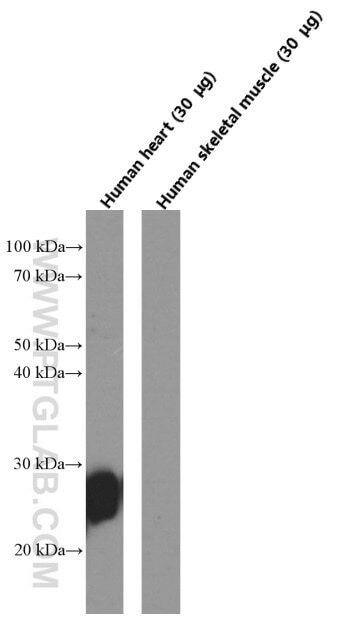 Effect of mHCN2 gene modification on chronotropic relevant receptors in BMSCs co-cultured with atrial myocytes. 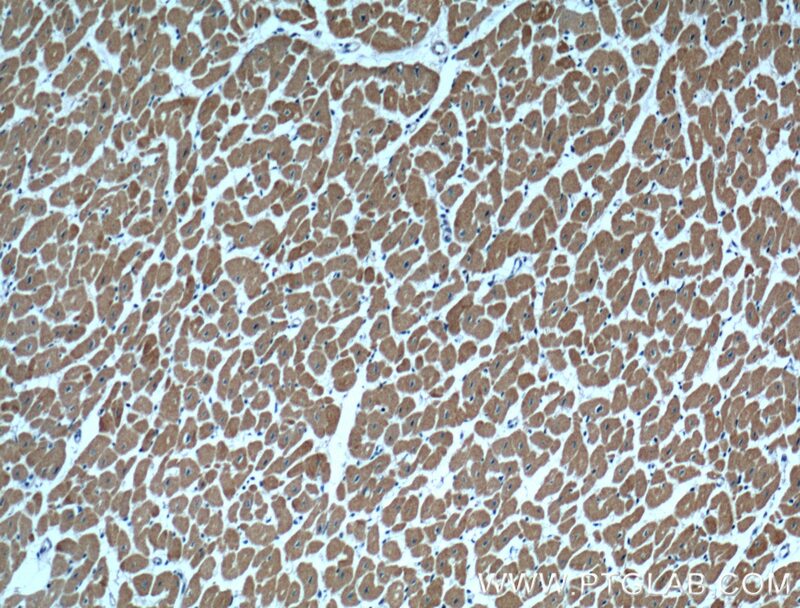 Immunohistochemical analysis of paraffin-embedded mouse heart tissue slide using 66376-1-Ig (Cardiac Troponin I antibody) at dilution of 1:2000 (under 10x lens) heat mediated antigen retrieved with Tris-EDTA buffer(pH9).